A Doppler radar altimeter on the ExoMars 2016 Schiaparelli Entry, descent, and landing Demonstrator Module (EDM) will be used to assess the altitude of the module above the surface of Mars and the speed with respect to the surface. This information, together with measurements from the accelerometers on the module, will be used to determine when the braking thrusters will be fired. 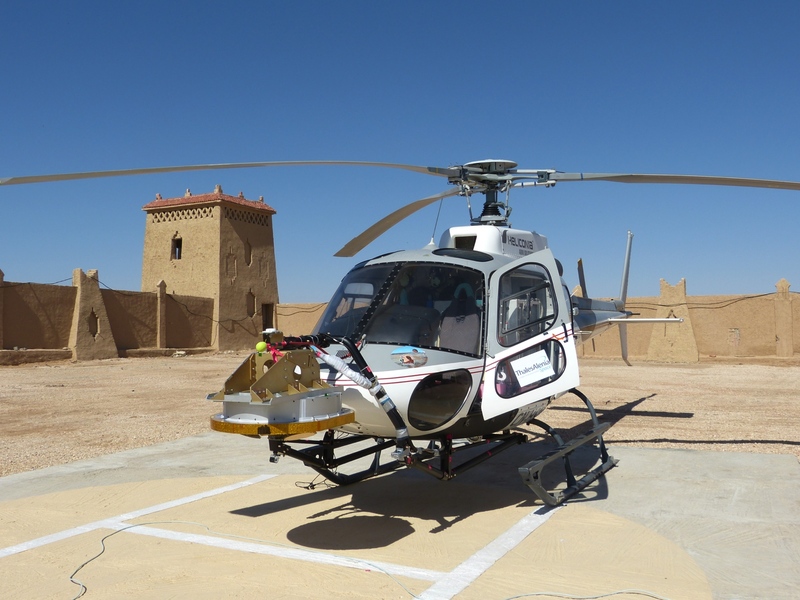 The radar was tested on high cranes in Italy, and during helicopter flights across terrain in Morocco. The radar can be seen at the front of the helicopter in this photograph.